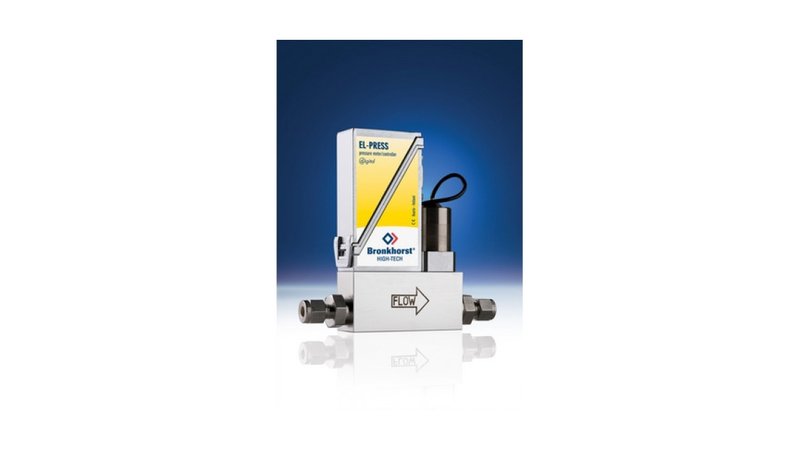 The EL-PRESS series electronic Pressure Meters and Controllers have a well-proven compact thru-flow design and are available in pressure ranges from 2-100 mbar up to 8-400 bar, both in absolute and relative (gauge) pressure. A differential pressure transducer can also be supplied in the ranges of 2-100 mbar up to 0,3-15 bar. The pressure controller performs with high accuracy and repeatability and should be specified for forward or backward pressure control.